Note: This is an excerpt from The Ultimate Diet 2.0. At a very fundamental level, the problem that natural bodybuilders and athletes have is one of partitioning; that is, where the calories go when you eat more of them or come from when you eat less of them. In an ideal universe, every calorie you ate would go to muscle tissue, with none going into fat cells; you’d gain 100% muscle and no fat. In that same ideal universe, every calorie used during dieting would come from fat stores; you’d lose 100% fat and no muscle. Unfortunately, we don’t live in an ideal universe. 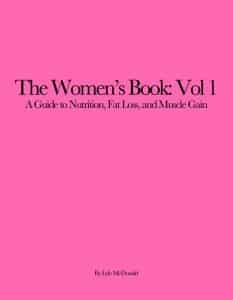 As I mentioned early in this book, some hapless individuals will lose as much as one pound of muscle for every 2-3 pounds of fat that they lose when they diet. Typically, those same individuals will put on about the same amount of fat and muscle when they overfeed. Thus is the balance of the universe maintained. More genetically advantaged individuals tend to put more calories into muscle (meaning less into fat) when they overeat and pull more calories out of fat cells (and less out of muscle) when they diet. They stay naturally lean and have few problems dieting. Once again, you aren’t one of them or you wouldn’t be reading this booklet in the first place. When talking about partitioning of calories, researchers refer to something called the P-ratio. Essentially, it represents the amount of protein that is either gained (or lost) during over (or under) feeding. So a low P-ratio when dieting would mean you used very little protein and a lot of fat. A high P-ratio would mean that you used a lot of protein and very little fat. It looks like, for the most part, P-ratio is more or less the same for a given individual; as I mentioned above, they will gain about same amount of muscle when they overfeed as they lose when they diet. This is yet another example of the body’s attempts to maintain itself at a ‘normal’ level. So what controls P-ratio. As depressing as this is, the majority of of the P-ratio is out of our control; it’s mostly genetic. We can control, maybe 15-20% of it with how we eat or train. Supraphysiological amounts of certain compounds (supplements) and, of course, drugs, can also affect the P-ratio. So what are the main determinants of calorie partitioning? Obviously, hormones are crucially important. High testosterone levels tend to have positive paritioning effects (more muscle, less fat) while chronically high levels of cortisol have the opposite effect (less muscle, more fat). Thyroid and nervous system activity affect not only metabolic rate but also fat burning; optimized thyroid and nervous system levels mean better fat burning, which means less muscle loss when you diet. It also means less fat gain when you overeat. Unfortunately, levels of these hormones are basically ‘set’ by our genetics; the only way to change them significantly is with supplements or drugs. Beyond that, there’s not a whole lot we can do to control them. Another factor controlling P-ratio is insulin sensitivity which refers to how well or how poorly a given tissue responds to the hormone insulin. Now, insulin is a storage hormone, affecting nutrient storage in tissues such as liver, muscle and fat cells. In that same ideal world, we’d have high insulin sensitivity in skeletal muscle (as this would tend to drive more calories into muscle) and poor insulin sensitivity in fat cells (making it harder to store calories there). This is especially true when you’re trying to gain muscle. In contrast, when you diet, it’s actually better to be insulin resistant (note that two of the most effective diet drugs, GH and clenbuterol/ephedrine cause insulin resistance). By limiting the muscle’s use of glucose for fuel, you not only spare glucose for use by the brain, but you increase the muscles use of fatty acids for fuel. In addition to hormonal advantages, it’s likely that the genetic elite have high skeletal muscle insulin sensitivity. They store tremendous amounts of calories in muscle which leaves less to go to fat cells. Their bodies also don’t have to release as much insulin in response to food intake. In contrast, individuals with poor skeletal muscle insulin sensitivity tend to overproduce insulin, don’t store calories in muscle well (part of why they have trouble getting a pump, poor glycogen storage in muscle cells) and tend to spill calories over to fat cells more effectively. So what controls insulin sensitivity? As always, a host of factors. One is simply genetic, folks can vary 10 fold in their sensitivity to insulin. Another is diet. Diets high in carbohydrates (especially highly refined carbohydrates), saturated fats and low in fiber tend to impair insulin sensitivity. Diets with lowered carbohydrates (or less refined sources), healthier fats (fish oils, monounsaturated fats like olive oil) and higher fiber intakes invariably improve insulin sensitivity. Another major factor is activity which influences insulin sensitivity in a number of ways. The first is that muscular contraction itself improves insulin sensitivity, facilitating glucose uptake into the cell. Glycogen depletion (remember this, it’s important) improves insulin sensitivity as well. So what else controls the P-ratio. As it turns out, the primary predictor of P-ratio during over- and under-feeding is bodyfat percentage. The more bodyfat you carry, the more fat you tend to lose when you diet (meaning less muscle) and the leaner you are, the less fat you tend to lose (meaning more muscle). The same goes in reverse: naturally lean (but NOT folks who have dieted to lean) individuals tend to gain more muscle and less fat when they overfeed and fatter individuals tend to gain more fat and less muscle when they overfeed. The question is why, why is bodyfat percentage having such a profound impact on P-ratio. Well, there are a few easy answers. One is that bodyfat and insulin sensitivity tend to correlate: the fatter you get, the more insulin resistant you tend to get and the leaner you are the more insulin sensitive you tend to be. A second is that, the fatter you are, the more fatty acids you have available for fuel. In general, when fatty acids are available in large amounts, they get used. This spares both glucose and protein. By extension, the leaner you get, the more problems you tend to have; as it gets harder to mobilize fatty acids, the body has less to use. This increases the reliance on amino acids (protein) for fuel. The original Ultimate Diet advocated medium chain triglycerides (a special type of fatty acid that is used more easily for fuel than standard fats) and this can be a good strategy under certain circumstances. The newly available DAG oil (http://www.enova.com) might have some use in this regards too. But that’s not all and it turns out that bodyfat percentage is controlling metabolism to a much greater degree than just by providing fatty acids. Research over the past 10 years or so has identified bodyfat stores as an endocrine tissue in its own right, secreting various hormones and protein that have major effects on other tissues. Perhaps the most important, and certainly the one most talked about is, leptin but that’s far from the only one. Tumor necrosis factor-alpha, the various interleukins, adiponectin and other compounds released from fat cells are sending signals to other tissues in the body which affect metabolism. Without getting into all of the nitpicky details (many of which haven’t been worked out yet), I just want to talk a little about leptin (if you read my last book, this will all be familiar ground). Leptin is a protein released primarily from fat cells although other tissues such as muscle also contribute slightly. Leptin levels primarily correlate with bodyfat percentage, the more fat you have the more leptin you tend to have (note: different depots of fat, visceral versus subcutaneous, show different relationships with leptin). At any given bodyfat percentage, women typically produce 2-3 times as much leptin as men. In addition to being related to the amount of bodyfat you have, leptin levels are also related to how much you’re eating. For example, in response to dieting, leptin levels may drop by 50% within a week (or less) although you obviously haven’t lost 50% of your bodyfat. After that initial rapid drop, there is a slower decrease in leptin related to the loss of bodyfat that is occurring. In response to overfeeding, leptin tends to rebound equally quickly. In contrast to what you might think, it looks like leptin production by fat cells is mainly determined by glucose availability (you’d think it was fat intake). So whenever you start pulling glucose out of the fat cell (dieting), leptin levels go down, when you drive glucose into fat cells, it goes up. Basically, leptin represents two different factors: how much bodfyat you’re carrying, and how much you’re eating. That is, it acts as a signal to the rest of your body about your energy stores. I’ll come back to this in a second. Like most hormones in the body, leptin has effects on most tissues in the body and leptin receptors have been found all over the place, in the liver, skeletal muscle, in immune cells; you name it and there are probably leptin receptors there. There are also leptin receptors in the brain but I’ll come back to that below. For now, let’s look at a few of the effects that leptin has on other tissues in the body. In the liver, leptin tends to reduce insulin secretion from the beta-cells. In skeletal muscle, leptin promotes fat burning and tends to spare glucose (and therefore amino acid use). In fat cells, leptin may promote fat oxidation as well as making the fat cell somewhat insulin resistant. Leptin also affects immune cell function, decreasing leptin impairs the body’s ability to mount an immune response. Now you know at least part of the reason you tend to get sick more when you diet. On and on it goes. Now, I want you to think back to the first couple of chapters of this book, where I talked about the evolutionary reasons it’s so hard to lose bodyfat. To your body, becoming too lean is a very real threat to your survival. From a physiological standpoint, that means that your body needs a way to ‘know’ how much energy you have stored. As you may have guessed (or knew from my last booklet), leptin is one of the primary signals (along with many others including ghrelin, insulin, protein YY and god knows what else will turn up) that signals the brain about how much energy you have stored and how much you’re eating. All of these hormones send an integrated signal to a part of the brain called the hypothalamus that ‘tell’ it what’s going on elsewhere in your body. This causes changes in various neurochemicals such as NPY, CRH, POMC, alpha-MSH and others, to occur. This has a variety of effects (mostly bad) on metabolic rate, hormone levels and nutrient partitioning. So metabolic rate goes down, levels of thyroid stimulating hormone, leutinizing hormone and follicle stimulating hormone (TSH, LH and FSH respectively) go down meaning lowered levels of thyroid and testosterone, levels of growth hormone releasing hormone (GHRH) go down meaning GH output can be impaired, sympathetic nervous system activity goes down, cortisol levels go up as does hunger and appetite, etc., etc. What you end up seeing is an all purposes systems crash when you try to take bodyfat below a certain level. I want to point out that falling leptin has a much larger impact on the body’s metabolism than raising leptin does (unless you’re raising it back to normal). That is, the body fights against dieting to a far greater degree than it does overfeeding. This is why, generally speaking, it’s a lot easier to get fat than it is to get lean. Of course, there are exceptions, folks who seem to resist obesity (or weight gain altogether). Research will probably find that they are extremely sensitive to the effects of leptin, so when calories go up, they simply burn off the excess calories without getting fat. Most of us aren’t that lucky. Rather, like insulin sensitivity discussed above, researchers will probably find that leptin sensitivity is a huge factor influencing how changes in caloric intake affect metabolism. Someone with good leptin sensitivity will tend to stay naturally lean and have an easy time dieting; folks with worse leptin sensitivity (leptin resistance) won’t. Now, as I pointed out in my last book, injectable leptin is a pipe-dream at this point, an effective dose costing nearly $1000/day (not to mention requiring twice daily injections). Using bromocriptine or other dopamine agonists seemed to fix at least part of the problems by sending a false signal to the brain, making it think leptin levels were normal. Recent studies that have given injectable leptin to dieters show that that fall in leptin is one of the primary signals in initiating the adaptation to dieting. However, unlike in rats, injecting leptin into humans doesn’t fix all of the problems. This is because, in humans, there is more of an integrated response to both over and underfeeding. To make this easier to understand, let’s look at some of the major things that occur when you cut calories. To understand this better, I want to take a snapshot of what happens when you either reduce or increase calories. Continued in Calorie Partitioning: Part 2.